“Affiliate marketing is a process of earning some commission by promoting other people’s products to people”. Step:1– Visit an Affiliate site and join it. (ex- Clickbank, JVzoo, amazon etc). Step:2– Find a product(any product you want to sell to people). Step:3– Promote the product to others on Social Media, Youtube, Whatsapp, on your Website. Step:4– If anyone buys the product from your affiliate link, you will earn a commission. 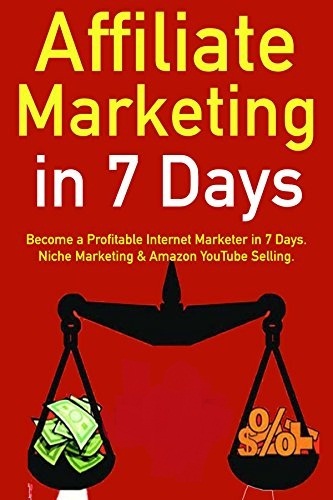 If you want to learn more in-depth about affiliate marketing, read this complete guide and be a master of affiliate marketing. Many people fail in affiliate marketing. But you will not fail after applying all these techniques which I have told in this whole article. So, read this article completely because after every 3-4 lines I have told a technique. Many online companies who sell products such as clothes, web-services, or some other service, usually offers an affiliate program. Step:1– Visit an Affiliate site and join it. You can sign up for the affiliate program easily and quickly. Ex- I will teach you through the example of Amazon affiliate program. Now, join the affiliate program by clicking the tab(in above pic). Many companies have the option to “become an affiliate” in the footer. You have to create an account for amazon associates to become an affiliate of the company. It is very easy to create an account for becoming an affiliate. After completing the process of creating the account. Now, after creating your account on it. Then visit Amazon and log in by entering username and password. After login in you will see a screen like this(in the above picture). Then, you have to choose products to promote. There are tons of products of every category. You can pick any product whichever you like. And go to any tab and then you will get the list of products. You can also choose the category of the product according to yourself. Then select any product which you like and click on get link. “Highlight HTML” before copying the link. Then go to your WordPress dashboard. You can show the products on your website in the “widgets, footer, in the post etc. If you want to show the product in any post. Ex- You wrote an article about a watch. Then you should put the link in that article, So that can buy the watch. Because when people will come to read about the watch, if they liked the watch and want to buy that watch then they will buy the watch through your affiliate link. Q- How to paste the link in the post? Click on the text and paste the link(which you copied) where you want to show the product. If anyone comes to your website or post and if he/she clicks the link and buy it, then you will get the commission. There are different commission rates on every product. Tip: Pick the product which has a high commission. Step:3- Promote the product to others on Social Media, Youtube, Whatsapp, on your Website. Now, this is an important part of affiliate marketing where most of the people fail. On every social media platform, where many people stay active throughout the day. You can share the link on WhatsApp with your friends, relatives. Tell them the advantages of the product then they will buy the product. And tell your friends to share the product link. Now, Start the Q & A part. These are the questions which are asked by people most of the times. Q-1: How much money you can make as an affiliate marketer? There are many affiliate marketers who are earning millions of dollars per month through affiliate marketing. I personally make more than $30000/month from Affiliate marketing. The main thing here is how you are approaching this process. Are you promoting these affiliate products on a blog or using PPC? This is the most effective one so far. Q-2: Is it important to have a Website or Blog for affiliate marketing? A: Not necessarily, but the blog is really the best promotional tool which can use. You can use other methods like PPC or advertising to promote a product. But this is like hit-and-run affiliate marketing. The best way to make the most profit via affiliate marketing is to have a blog and use it for promotion. Q-3: How much does it cost to join an affiliate program? A: There is no money required for joining an affiliate program. Q-4: What qualifications do I need to become an affiliate marketer? A: There is no qualification required to become an affiliate marketer but if you have good copywriting skills and marketing skills then there will be an extra advantage. Q-5: Is affiliate marketing harmful or illegal? A: No, it is neither harmful nor illegal. Because you will simply use the affiliate link provided to you rather than a direct link to link to any site. Q-6: How do I find an affiliate marketing websites? Pick the products which give you recurring revenue(which software or product needs some payment every month to use the good features). So, these were the 4 secrets to earn millions of dollars from affiliate marketing. Well, thnx for reading my article. I would like to tell you that I’m using this site for some time and youu post very good info.